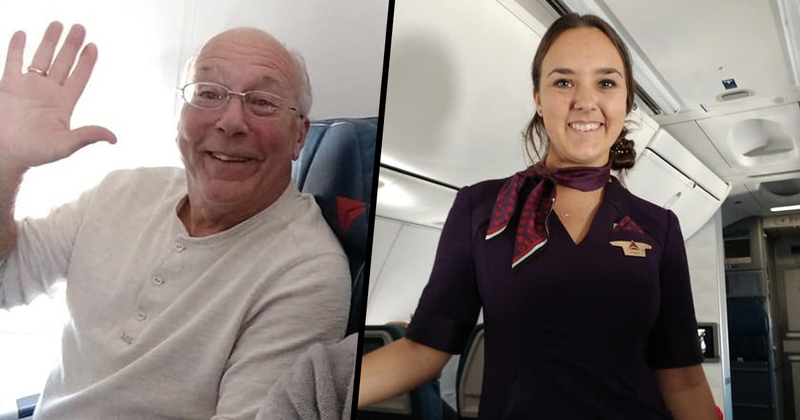 Christmas is about family, and one dad was prepared to go to 42,000ft to spend it with his daughter. Hal found out his daughter Pierce, who is a flight attendant, was shifted to work over the Christmas period. The dedicated dad decided that wouldn’t stop him spending the whole holiday with her and so booked onto every one of her flights on Christmas Eve and Christmas Day to spend time with her. I had the pleasure of sitting next to Hal on my flight back home. His daughter Pierce was our flight attendant who had to work over Christmas. Hal decided he would spend the holiday with her. So, he is flying on each of her flights today and tomorrow around the country to spend time with his daughter for Christmas. What a fantastic father! Wish you both a very Merry Christmas! Mike’s post was extremely popular on Facebook, receiving 138k likes and 28k shares. This made me cry… I would love to share it. A story worth telling this time of year! Dad’s first trip using his benefits was a success! A special thanks to all of the patient, wonderful gate agents around the country and my perfect crew. He made it on every flight and even got first class RSW-DTW (Christmas miracle). Shoutout to Mike Levy for being a great first class passenger & helping us to understand how cool this actually is! According to Delta’s website, employee benefits include free or reduced travel for spoused, minor dependent children, and parents.